European Central Bank Vice President Vitor Constancio signalled on Friday that the ECB could loosen funding to Greek banks if Greeks vote 'Yes' in a referendum on Sunday on whether or not to accept more austerity in return for aid. Constancio said the significance of the referendum was in making it more or less likely that an agreement could be reached on providing financial assistance to Greece. "Nothing else is relevant for us," he told a news conference following a speech. 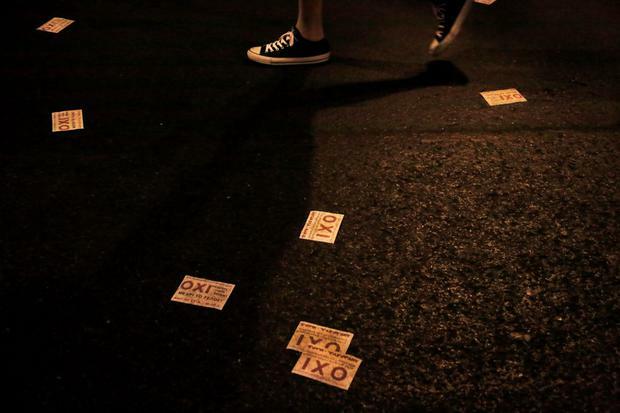 In the referendum, Greeks will say whether they are in favour of a cash-for-reforms proposal from Athens' international creditors - now expired - which the government is urging voters to reject. "If there is a 'No' result, then it will be more difficult for such an agreement to be reached, Constancio said, adding that this would have consequences for ECB's analysis and decisions. "If the result will be a 'Yes', then it's the opposite: it seems it will be easier to reach an agreement," he said. ECB policy council member Josef Bonnici on Thursday also said the ECB would take account of the referendum's outcome in deciding on any future liquidity provisions, which Greek banks need to stay afloat because of the torrent of withdrawals of the last few weeks. Constancio made clear there were no guarantees, however, pointing out that a decision would have to be taken by the ECB's policy-setting council as a whole, after analysis of the situation. Some members of the council, notably Germany's Jens Weidmann, have long voiced reservations about the ECB's aid, which they say must not be granted to insolvent banks or violate rules prohibiting monetary financing of states. The ECB's policy council has stopped increasing its funding limit ahead of the bailout referendum, which could decide Greece's future in the euro, but this week decided against reducing it, for fear that it would further destabilise the banks. Sources have told Reuters that the funding, called Emergency Liquidity Assistance or ELA, stands at about 89 billion euros ($99 billion). Tightening the ELA would have forced Greece to lower its 60 euros-a-day ($66) limit on cash withdrawals. That could have turned public opinion against the euro ahead of the referendum. Asked if the ECB would grant the assistance to Greek banks in the event of a 'No' vote, Constancio said: "I cannot in advance answer that question."